It is very easy to attract customers during the holiday season as most of the consumers become impulsive buyers during this time of the year. You just need effective marketing techniques in place for your ecommerce store during the holiday season and you will see the results. Although it is easy to acquire these customers the task becomes tricky and difficult when it comes to retaining them. However, if we turn these customers into regular customer it will drive the marketplace towards success. Now that you have prepared yourself and your business for the holiday season which is right around the corner, you need to strategize a plan which requires less of investment, more of sales and development of real connection with the customers. Below we have mentioned some effective ways to covert season-sale one-time buyers into regular customers. 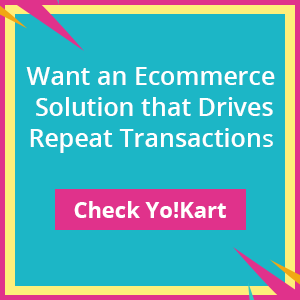 Adopting these techniques in your business will help in acquiring more clients, increasing sales throughout the year and reducing shopping cart abandonment rate. Email is a great way to maintain a communication with the customers. But the strategies you have been using for your customer – can they be used for seasonal customers? Introduce your brand through email and let them know the benefits of being with your brand through the first email. Sending an email to your customers is like nurturing your customers to be loyal to your brand. According to DemandGen Report, nurturing emails get 10 times more response than regular promotional email. Your first nurturing email does not need to be sent immediately after they make a purchase. Send out a welcome email or post purchase email, as people would take it more seriously and will not think of it as a promotional email. Usually most brands are aloof about the kind of content that should be sent to the customers on email. Following are the types of emails which can engage your customers and amplify the loyalty of seasonal customers. Educational Emails – Put meaningful blog posts in your email, or create content for your email that will educate or depart knowledge to people. It is very important that you first analyze the type of target audience before you create content for educational emails. For example :- If you are selling beard products, make sure you do not just write about shaving cream and razors instead also focus on different beard types. Entertaining emails – You need to understand that educational content will not team up with every kind of business. There are other ways to engage customers by providing them entertaining content over the email. For example: – If you are an ecommerce website that sells clothes for women, share images of celebrities or models wearing your outfit. Testimonials emails – Customers usually believe more in a brand when they hear it from other customers. Your existing customers have interesting stories about your product which your seasonal customer can relate to in a better way. Repurposing emails – It is not necessary to create original content for sending out an email. You can also find interesting articles which your readers can relate to. Share these articles with your seasonal customer to enhance engagement. Make sure you mention the source when you do so. Brand Culture emails – If you think your brand is interesting or well-established, in the sense, customers would want to know about it, and then you can create emails which are all about you and your brand. You can tell your brand stories, mission, achievements, etc. It may help one time customers become passionate and identify your brand. Remember these emails will send out a personalized message to the customers. Here is an effective example which works for most businesses. Most businesses treat holiday shoppers as seasonal customers who buy the product during sales and never visit again. Businesses do not pay extra attention to retain these customers and engage with them. Customers treat these e-commerce websites as one time place to shop and do not visit the website after the holiday season. Either you can be like every other e-commerce business or stand out among the lot. It is important to influence customers during different stages of the purchase cycle. What are the things which you can follow which website does not do? How can you surprise your customer by offering them much more? Discounts and Offers – Tried and tested tactic to bring back the customer who came to your website for sale is by offering another discount/sale. The best would be if you offer them discounts after the holiday season. Be Proactive – Most business offer assistance only when customers have a query. If you want to make your customers loyal make sure you are proactive. Email the customer after the product is delivered to them, if they need assistance in assembling the product or have questions or want to share their experience with the product. Quick Response team – Even if the customer approaches you with a query or feedback regarding the product, make sure you respond to them quickly. Hire more support during the holiday season as you cannot let your process be slow. Be 24×7 available for customers by phone or email. Connect on social media – Brands do not have enough resources to connect with customers after their purchase. For big brands, it is not possible as they are already over burden with many other tasks. But for brands who are small ought to know the importance of every customer on their website. Track down your customers on social media; ask them to give you a feedback or an image of the product with your brand name Hashtag. This will make the customer feel as if the brand is giving them individual attention. 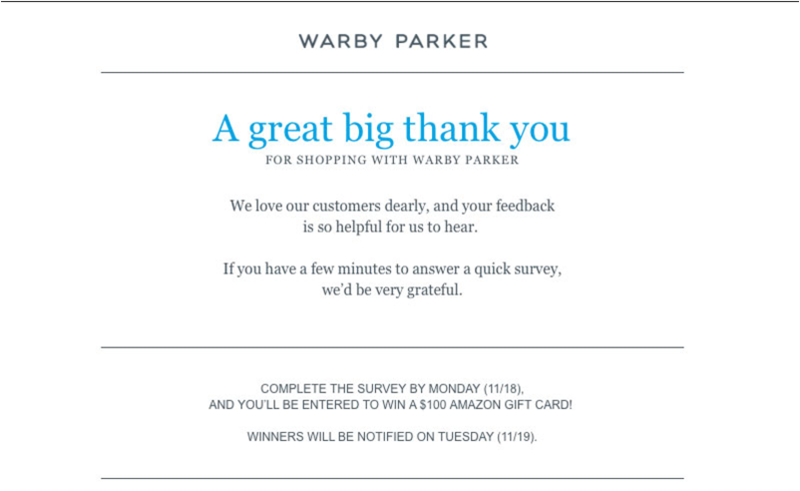 Thank you note or email – Depending on the number of customers, send out “Thank You” notes or emails to the customers. Write meaningful content on the note and thank them for shopping with your ecommerce website. This is most effective when you handwrite these notes but that will depend on the size of your business and the number of customers who bought products during the holiday season. See the reference below. When you consider advertising after the holiday season is over, make sure you design a custom advertisement for the one time shopper. This will allow you to build relationships with the customer outside your website or email list. To advertise your brand to one-time shopper it will not require too much budget. The list of custom audiences will likely be small and creating a customized ad will perform better than usual. Here are some advertisement ideas which you can use for custom audiences who have shopped for a product only during holidays. New product/service announcement – Create an ad specifically for the holiday shopper to let them know about a specific product release. Sales – Holiday shoppers can be easily attracted to the website by another sale. Retarget your advertisement to holiday shoppers by letting them know about a new sale. Engage the client – Grab the attention of the holiday shopper by a unique advertisement. The goals of these brands do not always have revolve around repeat sales; it can be to remind the customer of the brand after the holiday season. 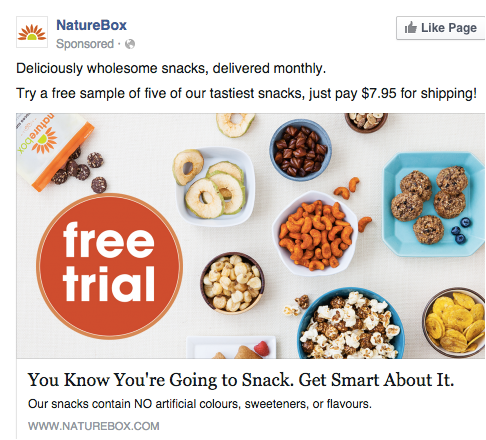 See the image below for an example of how to engage customers with retargeting advertisement on Facebook. You can certainly use these strategies for the whole year to create a natural bond with the customers. Use the holiday season as the experiment time and attract those customers who come only once during the same time. 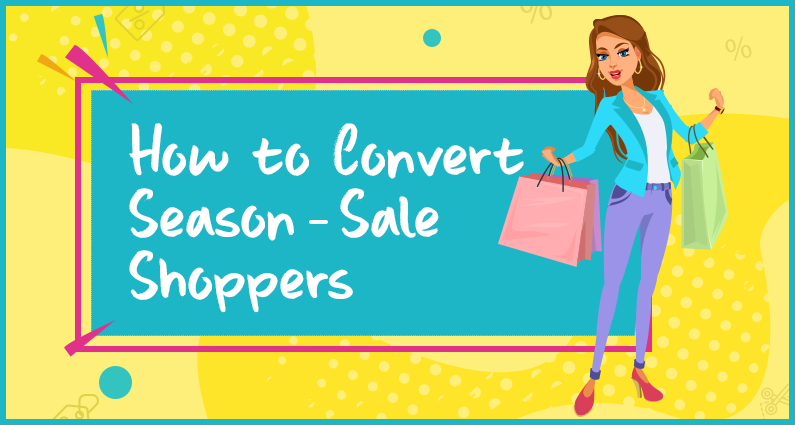 If your businesses use some other tactics to convert season-sale shoppers into regular customers, let us know in the comment section below.